Starting tomorrow February 8th there is a FLAsH sale on Stampin’ Up’s Fast Fuse. But this special is only until Feb. 11th and while supplies last. if you remember last fall, supplies ran out very quickly! 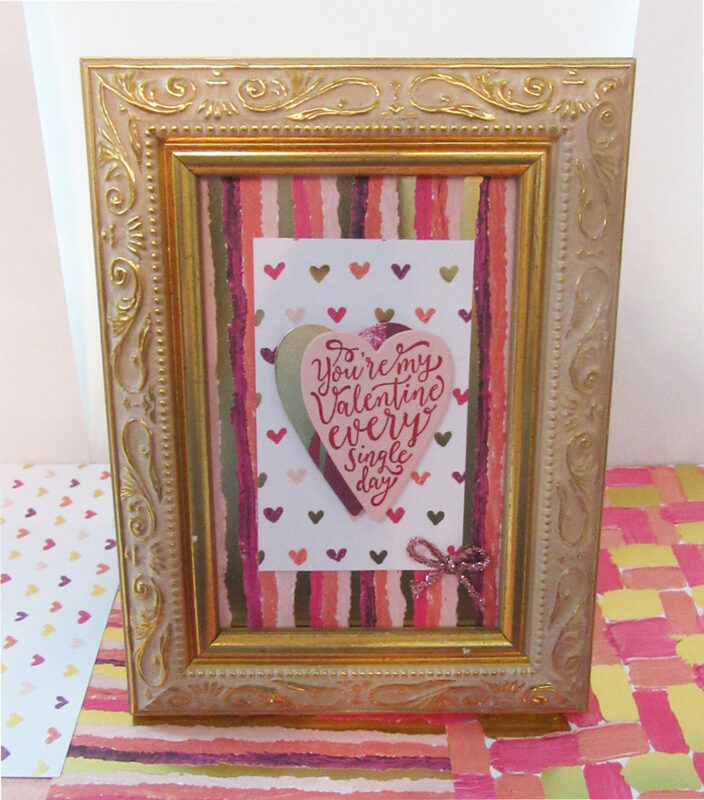 Wouldn’t it be great to receive this beautiful Valentines Day frame from someone special? A perfect Valentines gift for that perfect someone! This is a very quick and easy Valentines project to make. 1. Purchase a frame at any pharmacy or craft store. 2. Cut a piece of the Painted with Love Designer Series paper to the size of the frame opening for the background piece. I usually use the background cardboard as a template for the size to cut. 3. Stamp the desired sentiment from the Sure do Love You stamp set on Powder Pink Cardstock. Cut out with the corresponding heart die. Also cut a heart from a piece of Gold Foil. 4. Select a corresponding piece of Designer paper from the Painted with Love DSP that you like layered with your background. Cut 1″ smaller than the background piece on each side. 5. Center onto background piece. 6. Attach Stamped and Gold Heart with stamping dimensionals. 7. Tie a bow with the Tinsel Trim and attach to the frame as desired. 8. Insert picture into the frame. NOTE: Depending upon the depth of the frame and your hearts with the dimensionals, you may want to leave the glass off the frame. That’s it! A quick and easy Valentines gift that is sure to please your special someone!